Wincomm offers technical support/FAE and RMA repair service. Any technical problem of Wincomm’s product, you have a good choice to contact FAE for initial trouble-shooting, diagnosis to support you solving your problems soon. 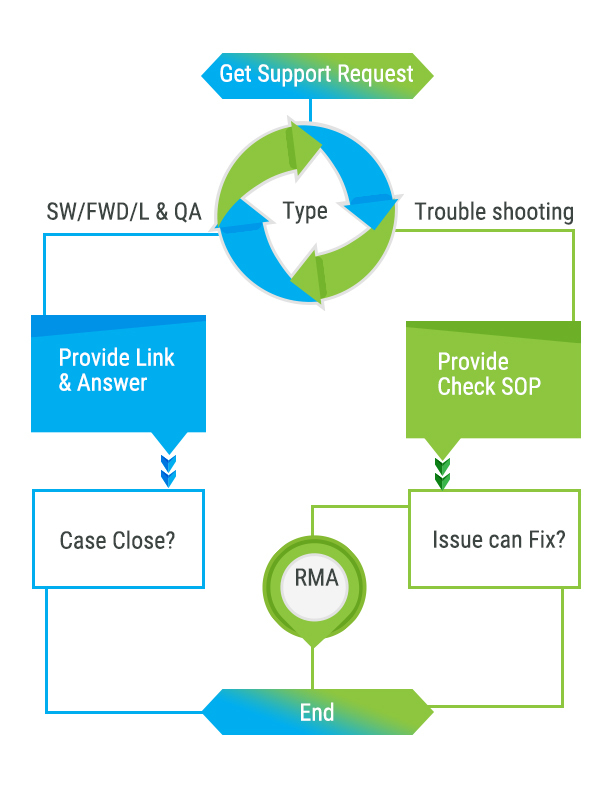 For RMA service, once the product is function abnormal, you are also able to contact RMA service for further process to solve your problem soon. A. Wincomm offers two-year basic limited warranty to parts and labor. Wincomm warrants its new products and its parts against defects in material and/or workmanship. B. Wincomm offers the 1st year to 3rd year extend warranty by charge. For extend warranty requirements please consult with Wincomm Sales. C. DOA (Dead on arrival): DOA is defined as products being defective and/or non-performance to its specifications under normal usage or specified inspection procedure in defined period from Wincomm’s invoice date. DOA is limited to 42 days via air shipment and 90 days via sea shipment (Asia Pacific region is excluded) after invoice date. Wincomm shall be responsible for repair without material, labor and shipping charge. A. Alteration, repair, modification, faulty installation or service by anyone other than Wincomm or its Authorized Service Center. C. Any damage which occurs in shipment. D. Any damage caused by acts of God, such as lightening or line surges. Remark: Please confirm with your Sales window for extend warranty information concerning your product. RMA Request: Inform your repair request by e-mail, or register via Wincomm Website. Issue RMA No. : Wincomm issues RMA No. with RMA REQUEST FORM sending to customer. All defects will be returned to Wincomm must have a RMA No. Receive RMA product: Wincomm confirms the RMA product has been received. Diagnose, test RMA product: Wincomm RMA engineer diagnoses and tests the RMA product to make sure to dig out problem customer informed, or any extra defects. Quotation for out of warranty: For out-of-warranty case, Wincomm shall issue proforma invoice (PI) for the RMA charge. Repair RMA product: Wincomm RMA engineer proceed the repair to solve any issue of RMA product. Finish repair and ship product back: Wincomm RMA engineer finishes repair, then package properly to avoid transportation damage.Assign shipping to deliver the product back to customer. Wincomm shall inform shipping information,tracking No. accordingly. Wincomm shall complete the repair of the RMA unit and send back within 14 working days (excluding transportation) for In-Warranty unit after receiving RMA unit. Out-of-warranty case shall be finished after customer confirms and approves the proforma invoice (PI) for the RMA charge. Wincomm shall send part to customer within 10 working days (excluding transportation) for In-Warranty repair after Wincomm receives defective part. Out-of-warranty case, parts shall be sent to customer after customer confirms and approves the proforma invoice (PI). For product: In-warranty or out-of-warranty case, repair warranty is limited to 90-day from delivery date, and the warranty is valid for the repair portion only, and/or if the original warranty is expired. For part: In-warranty case, repair warranty is limited to 90-day from delivery date, and the warranty is valid for the repair portion only, and/or if the original warranty is expired. Out-of-warranty case, repair warranty is 1 year from delivery date and the warranty is limited to the repaired portions. 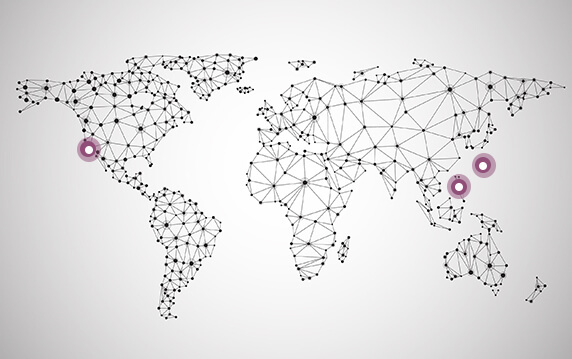 Wincomm commits product supply and maintains typically 5~7 years product life after mass production. Wincomm will provide 6 months' notice of the affected product's end-of-sale date and the last day when the affected product can be ordered. 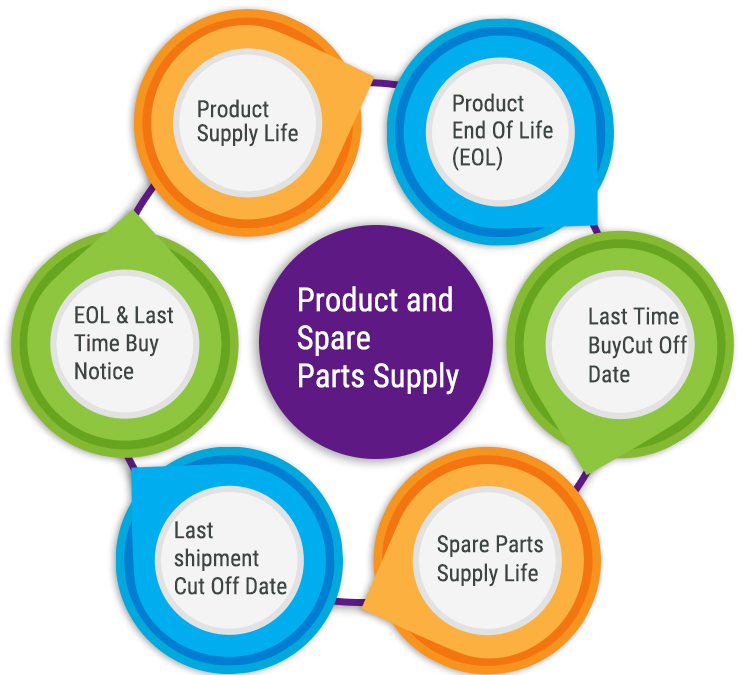 Spares or replacement parts for hardware will be typically available for a period of 5~7 years from the end-of-sale date. Wincomm will provide spares and replacement parts in accordance with our Return Materials Authorization (RMA) process. Customer will need to ensure that you have a current and fully paid support contract with Wincomm. Please contact your Support Account Manager regarding fees payable during the end-of-life period so that Wincomm can support you right through the end-of-life transition period. Base on support type to provide solution. 1. Software (Driver / FW /OS) download request/ Technical question→Provide link & Answer → Case close.